"If every person who professes to be a Latter-day Saint, was actually a Saint, our home would be a paradise, there would be nothing heard, nothing felt, nothing realized, but praise to the name of our God, doing our duty, and keeping his commandments." These pictures are of some of the houses that Brigham Young had lived in after his calling as an Apostle and then Prophet. During his Apostleship, Brigham Young continued his work as a tradesman and was an accomplished glazier and carpenter. 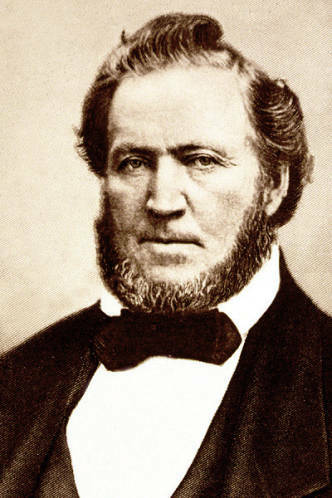 Alongside his Church President duties, Brigham Young operated farms, vineyards, a university, was the first Utah Territorial Governor and established one of the United State's first department stores. This was the home Brigham Young lived in when Joseph Smith was martyred and church leadership collectively fell on him and the rest of the Twelve Apostles. Since he was President of the Twelve, he became the de facto President of the Church. He would be officially sustained as President of The LDS Church in December 1847. 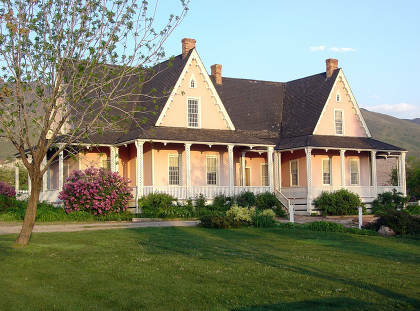 While he lived in this house he oversaw the completion of the Nauvoo Temple and planned the saints migration west. Home of Brigham Young built in the Salt Lake Valley. This house is the one most associated with Brigham Young. 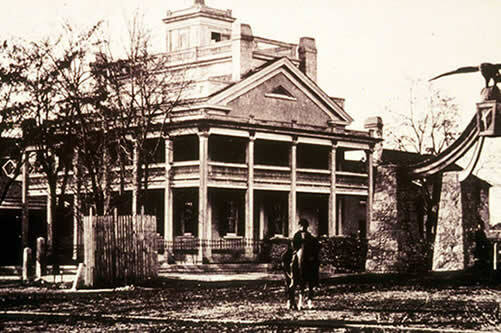 It was the home he lived in during his administration as Utah Territorial Governor. Along with his church administrative duties, Brigham also operated several successful farms and businesses including Z.C.M.I., one of the nations first department stores. 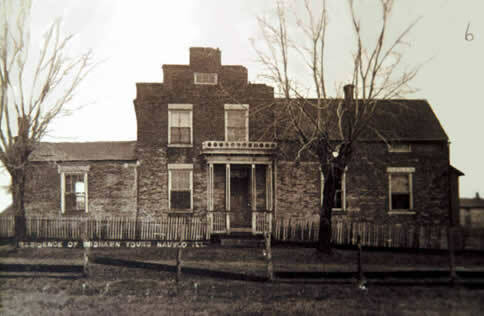 There are two other houses adjacent to it that were used by some of his wives and children. The Beehive House was designed to accommodate part of his extra large family, conduct church business and entertain visitors and dignitaries. It was nicknamed the "Beehive House" because of a large carved beehive (to symbolize industriousness) in the center of the roof. 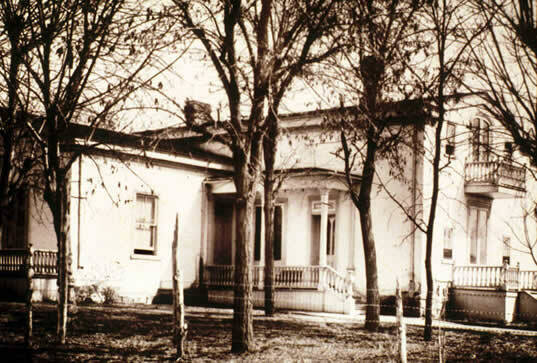 Two of President Young's successors would also occupy the house before it was converted into a museum. Today it is a popular tourist attraction. Brigham Young built this home on his farm six kilometers outside Salt Lake City. He never lived in the house, but used it often for meetings, socials, and other community events. 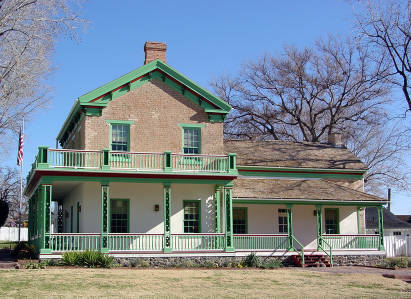 Brigham Young lived in this home in his later years when the winters in Norther Utah began taking a toll on his health. He died in August 1877. Brigham Young's presidency is noted for: Assuming church leadership and holding the church together after Joseph Smith was martyred. Finishing and dedicating the Nauvoo Temple. Preparing for the Mormon's evacuation from Nauvoo, Ill. Organizing and leading the exodus of over 70,000 people across the plains to the Salt Lake Valley. Beginning the construction on the Salt Lake Temple. Being a staunch defender and practitioner of plural marriage. Leading the church through the Utah War when federal troops invaded Utah. Founding and directing the colonization of towns, settlements and cities throughout Utah, Idaho, Arizona, Nevada, and parts of southern Colorado and northern Mexico.